Prepare to be taken on a journey. With her perceptive view inside the “patient experience”, Allison Massari’s riveting and insightful keynote illuminates the immense value that healthcare teams have upon a patient who is suffering. This dynamic and poignant program offers real solutions to the struggle of how to keep the patient first despite limited time and other practical constraints. By weaving her remarkable journey with potent life-lessons, Allison highlights the integral nature of patient-centered care and fortifies audience members, reigniting their passion for why they went into healthcare in the first place. She explains, "The power of what you do goes far beyond the technical part of your job. You are healing the places medicine cannot touch. In fact YOU are the medicine." 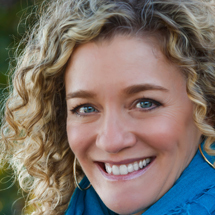 Hailed as “life-changing”, Allison’s keynote offers a sincere and direct approach to navigating adversity, transcending life’s difficulties, and always finding a way to be the healer in the room. This content rich and deeply moving speech also offers applicable tools for managing change, adversity, and the everyday challenges of being human. Allison Massari knows that you have the power to transform lives. As an advocate for both patient and provider, Massari has an intimate understanding of the demands and challenges of the medical profession, and compelling authority to address the delicate nature of patient-centered care. She experienced firsthand the critical value of receiving personalized health care from committed leadership teams, and empathetic providers after surviving two life-threatening car accidents, one where she suffered second and third degree burns on over 50% of her body. In addition, raised by her father, an Oncology surgeon, and her mother, a nurse, Allison was mentored in the world of medicine from an early age. Captivated by her father’s compassionate work, she shadowed him in his practice, and also worked in hospitals and medical office settings. Allison’s riveting and courageous journey from absolute loss to a triumphant and hope-filled life, addresses sensitive topics, shining light on the provider’s immense value to a patient who is suffering, and helping to reinvigorate employees and heal burnout in the workplace. 1) Implement the art of bringing kindness to someone in a matter of seconds, regardless of how busy you are. 2) Apply the power you have to transform patient lives - even without direct patient contact. 3) Interpret the patient experience at a deeper level. 4) Prioritize the necessary and positive impact of compassionate care. 5) Integrate the knowledge that patients are deeply impacted and are receiving great healing even if they are not responding verbally with gratitude to your compassionate care. 6) Identify the relationship between compassion, kindness, and patient satisfaction. Tone: This program is described by my clients as "deeply moving”, “profound”, “bold", “life-changing". It is a riveting program packed with content and takeaways through compelling storytelling. Voted on the “Best Keynote Speakers” List – M&C Magazine. With characteristic vigor, she launched her coaching and speaking career. She was quickly honored as the #1 Rising Star in Speaking by the National Speakers Association, and has been recognized with esteemed engagements including a TEDx event in Spain on “The Future of Happiness” and as a main platform speaker at the 2013 Million Dollar Round Table Conference, addressing an audience of 8,600 from 75 countries. Allison Massari is also featured in the award-winning international documentary “Resolve” which offers solutions to overcome adversity and PTSD, hosted by the Head of US Forces for the Military in Afghanistan. Currently, Allison coaches and speaks full-time around the world, drawing packed audiences who praise her sincerity and her remarkable life-altering message of finding the will, determination, and compassion to overcome adversity against all odds. In Healthcare, for instance, Allison has quickly become a leading educator – helping to heal burnout, offering support for compassion fatigue, and providing a preeminent program on patient-centered care as it relates to health care reform. Her keynote often provides Continuing Medical Education (CME) and Continuing Education Units (CEU). "Allison has an amazing story--she touched our hearts and made us think about our interactions with our patients."